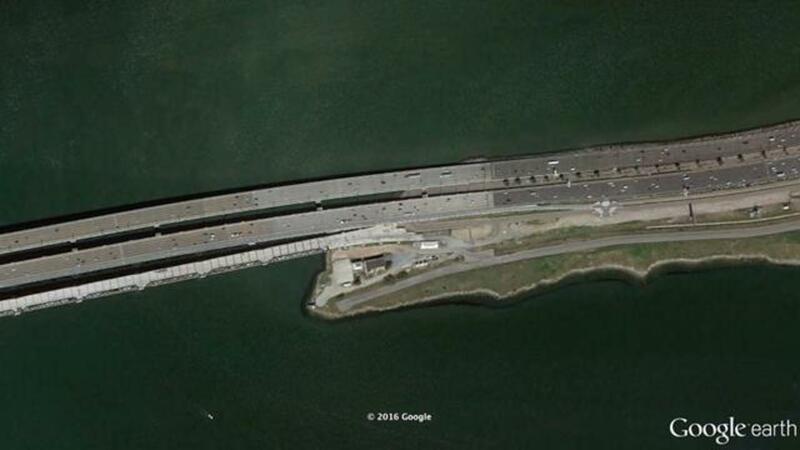 On Wednesday, a construction worker on a job near the San Francisco-Oakland Bay Bridge made a rather disturbing discovery, reports KPIX. A human torso in an advanced state of decay had washed up on the rocks. According to KNTV, the Oakland Police Department is investigating, but thus far has not been able to identify the victim or determine a cause of death. Among the many challenges in doing so is the absence of a head, arms, and legs, notes KRON. Further, authorities believe the torso had spent about a month in the water and a few days on the rocks. Johnna Watson, a police spokesperson, said, "The more time a body's in the water the more it's apt to be exposed to all the different elements." The coroner has determined that the remains are those of a young male and thus far no evidence of trauma has been observed.